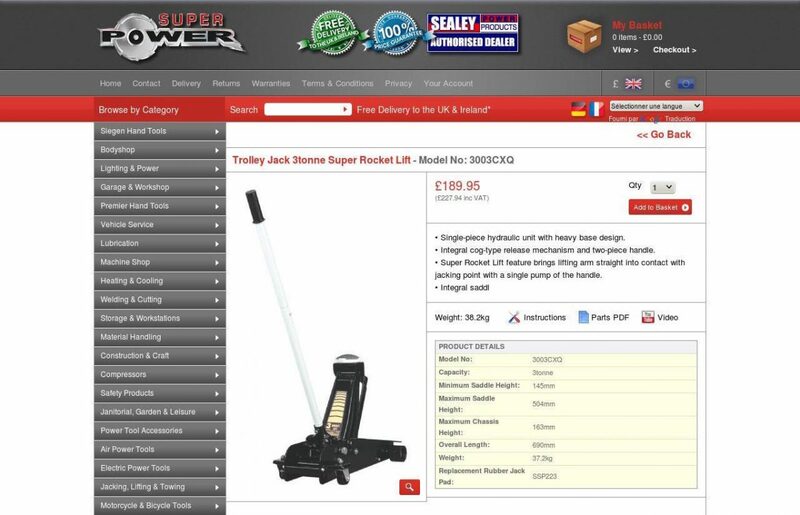 Super Power Tools is an e-commerce website selling over 8,000 products from the complete catalogue of Sealey power tools, accessories and related products. 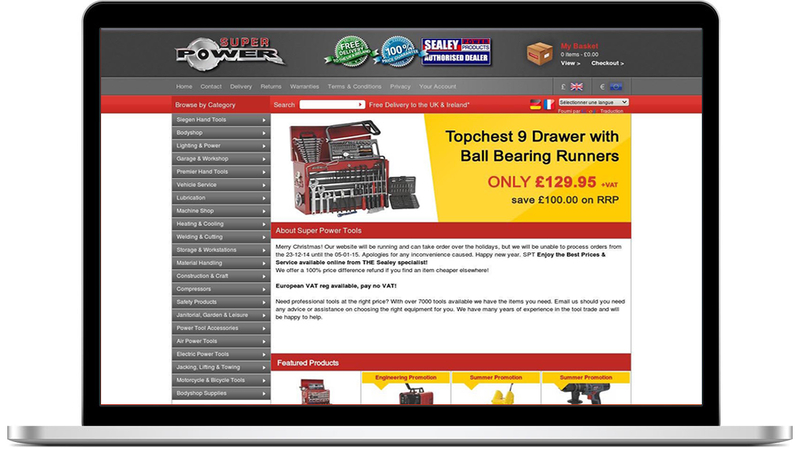 Due to the large number of items available on this website a product search is included which allows users to search by keyword or product code. Full product specifications are displayed along with parts lists and usage instructions when available. 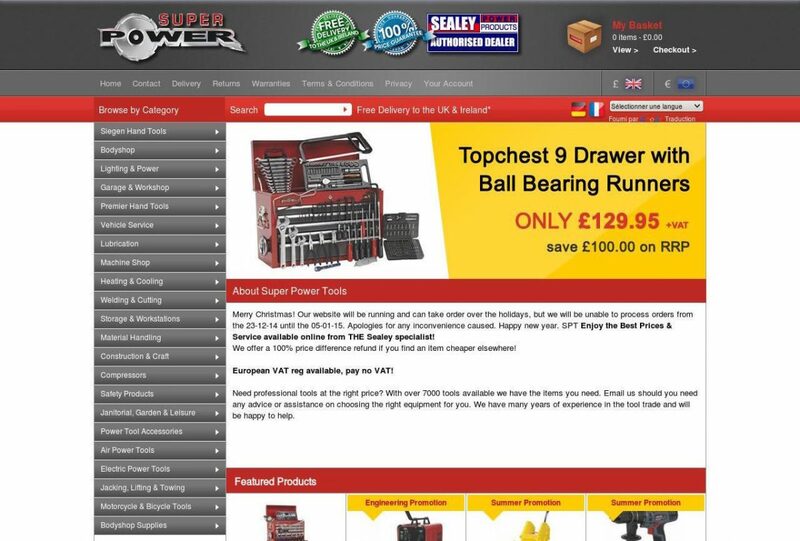 The product listings are updated automatically via a data feed which means minimal work for the website owners to keep the website up-to-date. Frequent Sealey promotions are also applied automatically however prices can still be adjusted manually via our content-management system. We also set up a product data feed to Google which allows the products to appear in Google Shopping searches and makes it easier for the website owners to run Google Adwords campaigns.